A man was charged for attempting to smuggle a boa constrictor onto an airplane by hiding it in his pants. Potsdam Customs said the incident took place at Germany's Berlin-Schonefeld Airport. 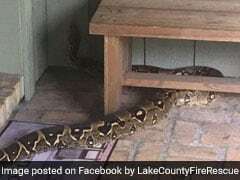 A family in Florida was recently left stranded outside their home, thanks to an 8-foot boa constrictor blocking their door. 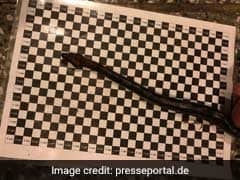 A mailman in Kansas, US, out doing his job, found a huge surprise waiting for him - a gigantic snake wrapped around a mailbox. 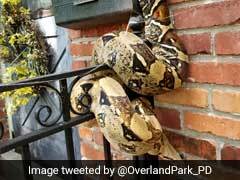 A tweet posted by Overland Park Police shows pictures of the huge reptile and, we warn you, they aren't for the fainthearted. 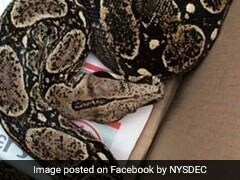 In a horror movie scene brought to life, a man in Pulaski, New York, was woken up rudely late last month: by a boa constrictor falling on him. The snake and the Ohio woman it was wrapped around had not always been at odds. 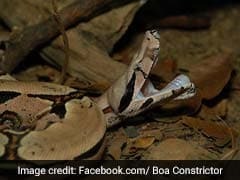 US authorities have released a recording of an emergency call in which a woman said this: "I've got a boa constrictor stuck to my face." 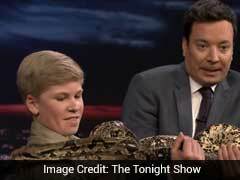 Only days ago, a video of crocodile hunter Steve Irwin's son Robert holding a giant boa constrictor went viral. Turns out Robert isn't the only teen who knows his way around slimy creatures. A video shared on Facebook shows Queensland teen, Oli Wardrope, pulling a snake out of a vehicle. 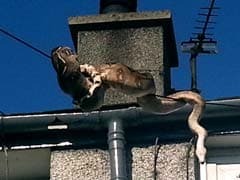 In a tweet, Rob Taylor who works for the North Wales Police Rural Crime Team shared a picture of a constrictor pet who had escaped from its tank and made a bid to escape. The picture was captured a year ago in Anglesey.